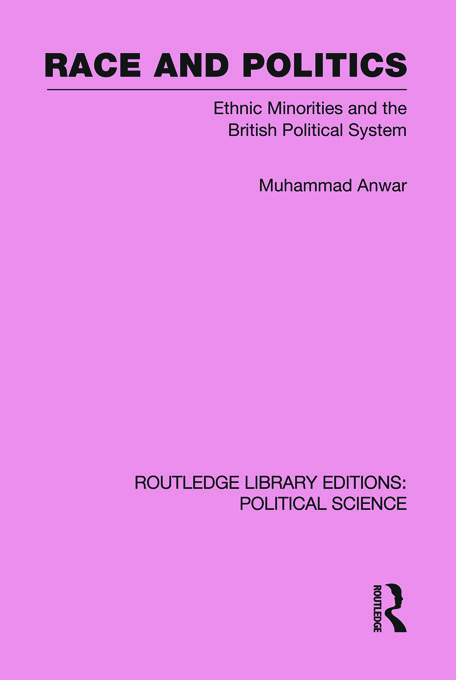 This book examines immigration and settlement patterns in Britain and at the civic position of ethnic minorities by outlining the development of race relations in the political context. It analyses the numbers, turnout patterns, voting behaviour and attitudes of the ethnic minorities to the political process and of the political parties to these minorities. In conclusion the author argues that the positive involvement of ethnic minorities in the political process, and in all aspects of British public life, is the genuine, long-term solution both to racial disadvantage and discrimination at every level.